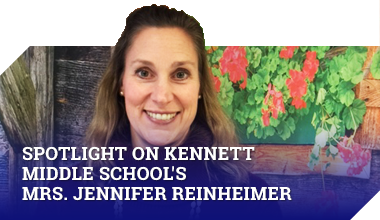 The goal of the Kennett Consolidated School District is for each child to be Proficient or higher on benchmarks to the Pennsylvania Academic Standards at each grade level. The report card also has skill indicators under the reading and writing sections to communicate strengths and weaknesses to parents. In kindergarten, students receive a 3, 2or 1 on grade level skill indicators to demonstrate whether they are Proficient, Progressing, or have an Area of Concern. In grades one and two, each subject has skill indicators. There is also a section that tells the parent whether the child is Advanced, Proficient, or Not Yet Proficient overall in reading, writing and mathematics for the trimester. This rating is called the Performance Level. Performance levels let the parent know if the child is on track each trimester when measured against state standards. As always, parent/teacher conferences are really important in determining next steps for each learner. In grades three through five, along with the Performance Level rating, each child receives traditional letter grades in language arts and mathematics. The combination of both the letter grade and performance level reflect a child’s individual growth as well as his/her standing when measured against state standards. This gives parents a much more complete picture of the student.